Gold has been considered a luxury since the beginning of time, and was common in beauty treatment used by the Romans, Greek and Egyptians. 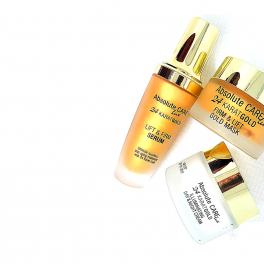 The gold used in Yaffa Zhav 24 Karat Gold Treatment line has been shown to visibly improve skin performance in terms of radiance, elasticity, firmness, moisture level and the overall appearance of micro-wrinkles. All products in the line contain Renovage™ an active ingredient that helps detoxify the skin and provides an even and fresh complexion. Regular use of Yaffa Zhav 24 Karat Gold Treatment line promotes softer skin and provides a radiant and rejuvenated appearance. This innovating 24 Karat Serum helps to perfect the appearance of the skin by lifting, firming and enhancing its natural glow. 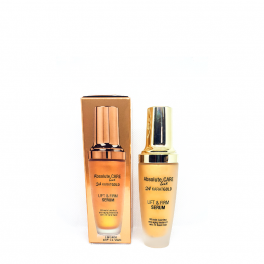 The serum contains 24 Karat Gold, a luxurious active ingredient that delivers immediate feeling of beautifulness. 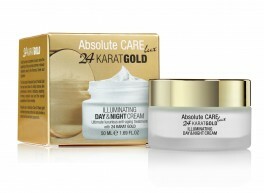 This innovating 24 Karat Illuminating Day & Night Cream combines your day and night pampering routine into one luxurious cream that moisturizes, enhances natural glow, evens skin tone and improves firmness and elasticity and all of this in one exclusive product. The 24 Karat Gold is an active ingredient that brings your daily routine to new heights with the addition of Renovage™, a powerful active ingredient to detoxify the skin and leave you with a fresh complexion.